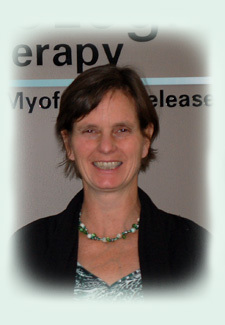 Marcia is an experienced orthopaedic and manual therapist who is a highly skilled CranioSacral therapist and teaching assistant for the Upledger Institute. She has also taken extensive training in acupuncture and exercise prescription. Marcia treats a wide variety of conditions and has a special interest in working with concussion, headaches and mothers and infants for pre and post natal care. She is also a certified Healing from the Core presenter, teaching self management and relaxation skills, as well as a yoga teacher.